Former Suffolk University president Margaret McKenna. 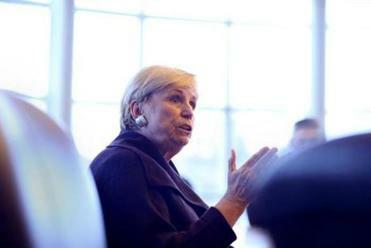 The president of Suffolk University said Thursday she was unfairly fired by the Board of Trustees and plans to fight it. Trustees acknowledged her departure, but gave no reasons for it. Margaret McKenna, whose tumultuous relationship with the board has stretched over the past year, vowed to launch a challenge. “I fought a good fight against entrenched interests and a board that did not understand university governance,” McKenna said in a statement. The move came after an emergency board meeting Thursday morning to discuss the results of an investigation into allegations, brought by the school’s former public relations executive, George Regan, that McKenna spent university money lavishly and verbally abused employees, often yelling at them. 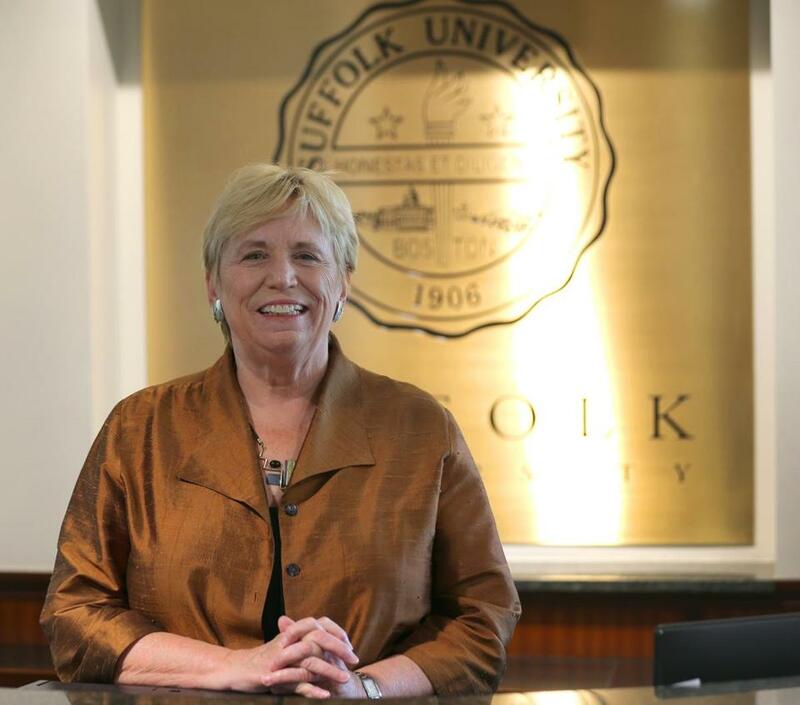 Suffolk University and Margaret McKenna, who was formerly the school’s president, have parted ways. “[Regan’s] assertions have been thoroughly investigated and the board has determined that they are unsubstantiated,” board chairman Robert Lamb said in a brief telephone interview Thursday evening. Still, that finding was followed by word that McKenna and Suffolk would part ways. McKenna said the board gave three reasons for her termination: inadequately communicating with the board about university accreditors, improperly providing information to the accreditors, and participating in a meeting with the Globe editorial board in February. She did not elaborate on the reasons in her statement. “I have been disheartened by the violations of basic process and the negative impact on the truly outstanding Suffolk University academic community,” her statement said. Provost Marisa Kelly will take over as acting president, becoming the sixth head of the university in as many years, counting interims. McKenna’s departure comes earlier than expected. In February she struck a deal with the board to step down by the fall of 2017. A group of active alumni that was formed during the turmoil of the past months said it was shocked to learn of her departure. The president’s high-profile spat with the board began in late January when several trustees, including former chairman Andrew Meyer, tried to oust her and install former state attorney general Martha Coakley as president. But the coup attempt backfired and many students, staff, and faculty rallied around McKenna. The president ultimately agreed to step down by the fall of 2017 in exchange for several concessions from the board, including new bylaws and a promise from Meyer that he would leave this past May, when his term expired. During the squabble, the New England Association of Schools and Colleges, which accredits Suffolk, became involved. The agency asked Suffolk for a special report on the turmoil and later sent the school a letter, which has not been released publicly. But Suffolk’s problems with accreditors began before this year. In 2014, the accrediting association raised questions about the school’s governing structure and recommended that Suffolk clarify the responsibilities and authorities of the board and the administration. The commission wrote in 2014 that it was encouraged that the board intended to rewrite the school’s bylaws, but the board did not adopt new bylaws until April. Accreditors in 2014 also encouraged the board to return to an “oversight” role, rather than managing day-to-day operations. Regan on Thursday commended the change in leadership at Suffolk. “The board of trustees showed great courage by standing up and recognizing the tremendous mistake that they made by hiring Margaret McKenna,” Regan said in a statement. Laura Krantz can be reached at laura.krantz@globe.com. Follow here on Twitter @laurakrantz.